Prince George Asks Royal Puppy Lupo: Did We Just Become Best Friends? There's a new royal couple in town, and their names are George and Lupo. 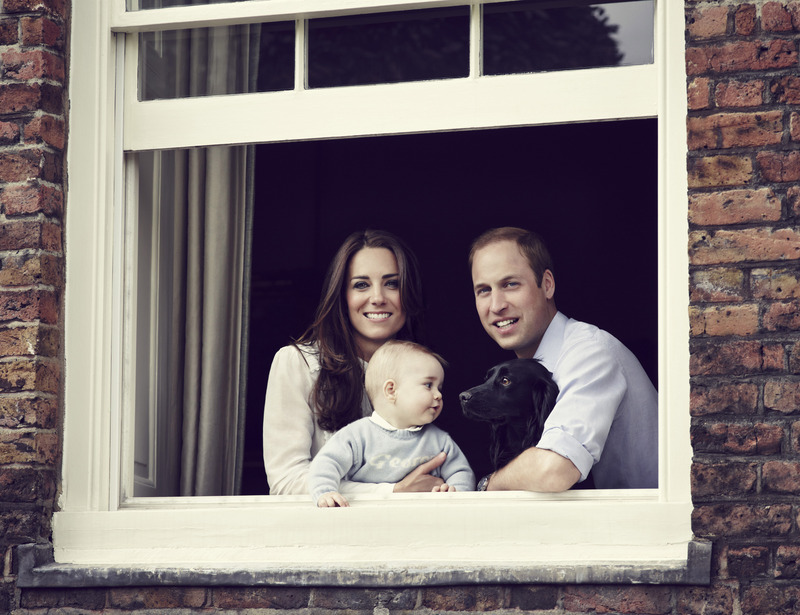 Prince William and the Duchess of Cambridge recently posed with Prince George and Lupo in the window of Kensington Palace. This is the latest photo of the 8-month-old prince, and I agree with NPR's assertion: "New Photo of Prince George Pleases the Internet." It is, however, the tiny prince's clear infatuation with the royal cocker spaniel, Lupo, that steals the show. While Prince George is still developing object permanence, it is clear that there has been a huge shift in his feelings for the family pet. When we revisit the photos released of him when he was about a month old, he isn't even looking at Lupo. His eyes are closed, and Lupo's tongue lolls out of his mouth as he gazes off into the distance of the Middleton estate. He's imagining, perhaps, a pheasant hunt, or a young master who is old enough to play with him. Now, however, the message is clear. Prince George's eyes are open, and he is all about Lupo. Just as Jacob Black imprinted on the unfortunately named Renesmee in the Twilight saga, the young royal has imprinted on the nearest available man's best friend. Lupo can be the Bo to the prince's Sasha and Malia. In fact, they could all get together and swap "my dog is the best" stories, while Lupo and Bo could sniff each other and talk about why their names both end in O's. The final verdict on this photo? Kate Middleton still has the skin of a porcelain doll and the lush hair of a Garnier Fructis model. Prince William still has the stoic gaze of a salt-stained sea captain. Prince George, however, has come into his own. His eyes are open and shining, and his mouth is poised to let out an appreciative coo. He is a boy with a dog, and this photo marks the beginning of their story together.